Do you, or someone you love, have problems with nail biting? 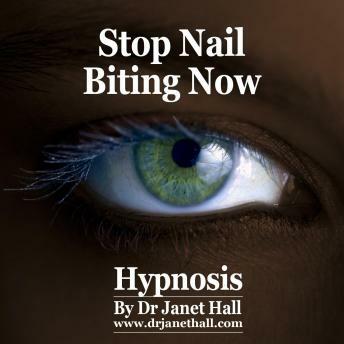 Dr Jan's hypnosis can help anyone Stop Biting Your Nails and Have Normal Hands With Nice Nails. Enjoy being proud of your decision to HAVE great-looking hands and fingernails forever. You will feel totally great to have people look at your hands. Dr Jan sees people on a one-to-one basis and has had a lot of success in dealing with those who need to stop biting their nails. This recording comes from Dr Jan's clinical success with helping clients stop biting their nails. The goal is that you will forget that you ever bit your nails. Seeing someone who bites their nails fills you with both compassion and disgust. You think: "How could they hurt themselves like that? Don't they know other people notice nasty nails and judge the person negatively for that?" Hypnotherapy works with your unconscious mind to help you associate confident, happy times of your life with the situations that would otherwise trigger nail biting behaviour. The recording works in a gently relaxing way to establish better and healthier patterns of thinking, feeling and behaviour at a more unconscious level so that you would never dream of biting your nails. Listen to this recording over and over again. Listen every day, if you can, and certainly every night as you go to sleep and be patient. If you were unfit and stated going to the gym you wouldn't expect to be fit after one visit.